Do you need a carpet cleaning service in Greenford? Magic Carpet Cleaning Company is the right choice for you. We are using cutting-edge cleaning tools and detergents for perfect results every time. Our staff is vetted, certified and experienced. If you need an information about our services, you can call us on 0208 861 0979 or use the on-line booking form below. Magic Carpet Cleaning’s experienced employees are able to satisfy your expectations. We are in this business for the long term! With Magic Carpet Cleaning there are no bait and switch tactics or hidden charges and fees! There are various carpet cleaning services in the industry today, but Magic Carpet Cleaning in Greenford (UB6) is an organization with advanced and modern technologies to provide cleaning services to your home or office at affordable prices. We are using hot water extraction method for cleaning carpets that removes dust from most interior part of the material and turbo drying method helps the carpets drying Our cleaners are certified and well-trained to do the best they can do for your home. They observe the carpet’s fabrics and condition and decide what procedures are required for best result. 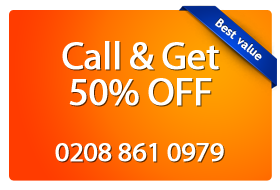 Check our affordable prices by calling us on 0208 861 0979. Our customer support assistants are available 24/7. If it more convenient, you can use our on-line booking form, and one of our staff will get in touch with you in no time.